A newsroom staffed by engineers. JX Press’s secret is a combination of social media and artificial intelligence. On Feb. 13 last year, the half-brother of North Korean dictator Kim Jong-Un was killed in an airport in Malaysia, in what the U.S. Department of State concluded was an assassination using a nerve agent. As North Korea and Malaysia were roiled in a diplomatic dispute, one entrepreneur in Japan and his budding news service were about to reap some attention. News of Kim Jong-Nam’s death was quickly picked up in Japan not by one of the country’s giant media conglomerates, but by a small startup. 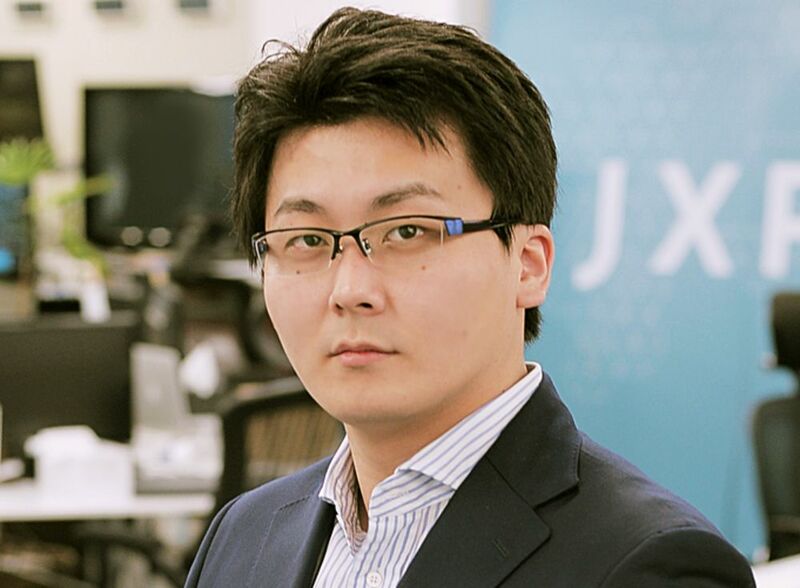 JX Press Corp., a news technology venture founded in 2008 by Katsuhiro Yoneshigewhile he was still a freshman in college, reported the incident more than half an hour faster than the big names, according to one observer. It did so even though it has no journalists, let alone any international bureaus. "NewsDigest got the scoop at 19:52, and TV stations had it about 20:30," sociologist Noritoshi Furuichi wrote on Twitter after reports of Kim’s death. "Television has succumbed to being a slow media." JX Press’s secret, it turns out, is a combination of social media and artificial intelligence. Yoneshige and his team have developed a tool, using machine learning, for finding breaking news in social media posts and writing it up as news reports. Essentially, it’s a newsroom staffed by engineers. Yoneshige, now 29, realized the perilous situation of Japanese media when he was writing for an airline news website while still in middle and high school. The industry is too heavily staffed and doesn’t make enough money, he says. Yoneshige’s startup is an example of how millennial entrepreneurs are harnessing social media to create businesses that reimagine how a given industry should work. It’s also a case study in how Japan is finding ways to deal with one of its most pressing issues: a labor shortage that will only worsen as the population ages. Tokyo-based JX Press has 24 staff with an average age of 29, two-thirds of which are engineers. The company has two main products: subscription-based breaking news service Fast Alert and a free mobile news application called NewsDigest. Fast Alert scours social media postings, analyzing text, photos and even exclamation marks, to find breaking news in Japan, in areas such as fires, traffic accidents and other disasters. It also monitors overseas media and Twitter accounts that it considers trustworthy, seeking to be the first to report major international developments. Once it’s found news, its algorithms write the stories. JX Press has some high-profile financial backers, including Japanese media giant Nikkei Inc. and venture capital companies Mitsubishi UFJ Capital Co. and CyberAgent Ventures Inc. Its clients include many of Japan’s biggest broadcasters, such as NHK, TV Asahi and Fuji Television, all of which pay a monthly subscription -- which Yoneshige declines to disclose -- to use Fast Alert. Nikkei competes with Bloomberg LP, the parent company of Bloomberg News, in providing financial news and information. Koichiro Nishi, a deputy editor-in-chief at TV Asahi, says Fast Alert has become a “must-have tool” since his newsroom started using it in November 2016. It’s allowed them to detect some news even before police and fire departments, instead of waiting around to hear the news from them, he says. "It’s basically a world of 100 million cameramen," Nishi says. Fast Alert can filter out 99 percent of false news stories, according to Yoneshige. He cites the earthquakes that struck Kumamoto in southwestern Japan in April 2016. Soon after, an image circulated on social media of a lion that had reportedly escaped from a local zoo and was roaming the city. But Fast Alert realized the image originated in South Africa. JX Press currently gets about twice as much revenue from its NewsDigest app -- in the form of advertising -- as it does from Fast Alert. NewsDigest ranked 8th in Japan in the Apple Store’s news app category as of May 25. Sales of the two main services surged 613% in January from a year earlier, according to JX Press, which doesn’t disclose revenue or profit numbers. Hedge funds are also taking note, and increasingly contacting Yoneshige about Fast Alert, he says. Still, despite the interest, Yoneshige knows the dangers that his business faces. One is what he calls “social media platform risk.” Take Instagram. The photo site recently changed its policy on how its information could be used. The result? JX Press had to eliminate Instagram posts from its searches. But regardless of the uncertainties, Yoneshige aims to list the company’s shares by 2021. And beyond JX Press, Yoneshige hasn’t forgotten his first passion. He still sometimes writes for online airline publications, and hasn’t given up on his dream of having his own fleet one day.